On January 28, 2013, the Cuban Heritage Collection celebrated 10 years in the Goizueta Pavilion. The Cuban Heritage Collection preserves its treasures and carries out its programs in the Roberto C. Goizueta Pavilion, named in honor of the late Cuban-American business leader. The Pavilion is a 10,000-square-foot facility located on the second floor of the Otto G. Richter Library at the University of Miami’s Coral Gables campus. The Cuban Heritage Collection’s vast wealth of research resources come to life in the reading room at the Roberto C. Goizueta Pavilion. It is here that students, faculty, journalists, neighbors, and other researchers make use of the array of materials available in the Collection. The reading room is also a center for community engagement, serving as one of the principal public gathering spaces in the Otto G. Richter Library. Since opening in 2003, the Goizueta Pavilion has been the site for over 50 lectures and presentations focused on Cuba and its diaspora but also including topics related to other Richter Library collections and programs. The reading room has hosted two meetings of the University of Miami’s Board of Trustees and a private luncheon for university presidents with President Bill Clinton as part of the 2010 Clinton Global Initiative University. Named in honor of the late philanthropist Elena Díaz-Versón Amos, the conference room includes the painting Amanecer en la Atlántida by Cuban artist Gustavo Acosta, generously donated by Mrs. Olga C. Goizueta. For information on use of the Elena Díaz-Versón Amos Conference Room, click here. 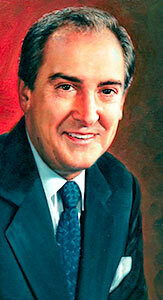 Roberto C. Goizueta by Rossin. Roberto C. Goizueta served as Chairman and Chief Executive Officer of The Coca-Cola Company for sixteen years (1981-1997), leading to its expansion as a global household brand. A Cuban refuge, he is considered among the most respected business leaders of the twentieth century. Born in 1931 in Cuba, Mr. Goizueta attended the Colegio de Belén in Havana and later Cheshire Academy in Connecticut, where he learned English. Majoring in chemical engineering, he graduated from Yale University in 1953, and one year later he joined the technical department of The Coca-Cola Company in Havana. In the aftermath of the Cuban Revolution, Mr. Goizueta left Cuba in 1960, with his wife, Olga, and their children. Within 30 years, Mr. Goizueta was leading The Coca-Cola Company. Roberto C. Goizueta was more than a business leader. He believed that every person who enjoys freedom and opportunity has a duty to cherish, protect, and nurture it. He strived to make America stronger, not only through his inspirational and exceptional business leadership but also through his generous philanthropic contributions. In 1992, Mr. Goizueta established The Goizueta Foundation to provide financial assistance to educational and charitable institutions. In creating The Goizueta Foundation, he sought to acknowledge his indebtedness to this country and to continue the commitment to philanthropic endeavors that has symbolized the leadership of The Coca-Cola Company for more than a century. The Goizueta Foundation provided the lead gift to create the Cuban Heritage Collection’s permanent home, which was inaugurated in 2003, and again gave its support in 2009 with a five-year grant to fund collection development, preservation and access, digitization, and fellowship programs. 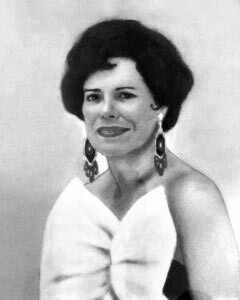 The daughter of Cuban journalist and author Salvador Díaz-Versón and Teresa Bana, philanthropist Elena Díaz-Versón Amos was born in Cuba in 1926 and came to the University of Miami in 1944 as an exchange student in a pre-law program. 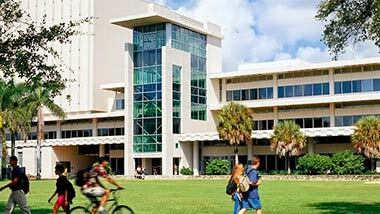 While at the University, she met John B. Amos of Enterprise, Alabama, whom she married in 1945 in Coral Gables. Ten years later, with their son John Shelby II and daughter María Teresa, the Amoses moved to Columbus, Georgia. There Mr. Amos founded the American Family Corporation, now the American Family Life Assurance Company (AFLAC). Elena Díaz-Versón Amos was chairperson and founder of The John and Elena Amos Foundation. Through this foundation and often through her own personal contributions, Mrs. Amos supported various local and national organizations, humanitarian and Cuban causes, and institutions of higher education, including the University of Miami, where her late husband established the Charlton W. Tebeau Chair in American History. Her interests in higher education and Cuban issues united in her support of the Cuban Heritage Collection. She was the founding co-chair of the Amigos of the Cuban Heritage Collection, a group that raises funds and provides support for the collection. In 1994, when the collection was still housed in Richter Library’s Special Collections Division, Mrs. Amos made a donation of $1 million towards the construction of a new home for the library’s Cuban materials, a home that was realized by The Goizueta Foundation in the Roberto C. Goizueta Pavilion. In March 2000, Mrs. Amos received the University of Miami’s Presidential Order of Merit, an award that recognizes the notable achievements of outstanding individuals. Mrs. Amos passed away two months later on May 3. For her enduring moral and financial support of the Cuban Heritage Collection, the Roberto C. Goizueta Pavilion’s conference room is named after Elena Díaz-Versón Amos. With a long history in the sugar industry in Cuba and the United States, the Fanjul family is based in Palm Beach Country, Florida. Alfy and Pepe Fanjul and their sister Lian Fanjul de Azqueta are founding members of New Hope Charities, which provides educational and health services to low-income families in Pahokee, Florida. As individuals and through the family’s companies, the Fanjul family supports various charitable and educational organizations, including the University of Miami.